If you are looking for card magic to put in your working repertoire, look no further. 'Mystery Sessions' are monthly card trick videos with explanations of true workers, each month providing you with another trick or sleight with additional variations which cannot be found in any of our other products, let alone anywhere else. Perfect for magicians who are not looking for any specific kind of tricks, but even those who are can easily purchase individual issues as well. The first episode has been released! It will be for sale as individual episode in about a week or two. As soon as that happens, all prices (including the ones of the subscriptions) will be permanently raised so that the long wait was worth while a bit more, besides the free Skype session opportunities. Copyright ©2015 DarkSleightZ - It's eS productions. All Rights Reserved. If you would subscribe now, those two are exactly the same, indeed. However, when we have two or more sessions released, the Twelve-Month Subscription doesn't include the first sessions while the Season One - Full Season (former All of) does. 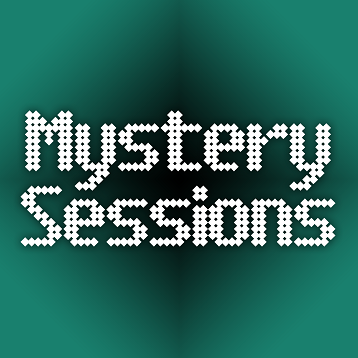 And also, in the event that the mystery sessions already start being made, can I get all of year one later and yet still see the intial sessions? I mean: can I get the "season one" subscription even after the beginning of the mystery sessions and thus see the initial sessions I missed? Did this end up happening? I would be quite interested if it did. I don't know about other people, but I'd like to know at what stage this project is. I mean the entire thing started almost one year ago and the last post from Mark dates from september and he said that "it should start fairly soon"... It's been almost half a year since then. Mark Has a hell of a lot of stuff going on, two things that are holding this back is rebuilding/building a couple of websites. And having his computer repaired. It will happen though. I have to add and slightly correct that when the computer is repaired and able to handle video material again (which is the main issue it has and we are having due to that), the first Mystery Session is on top of the list along with the DVD's. The reason why I'm working on websites now is because that's like the only thing I can do, with or without the main computer.